How to reach Colter Brinkley and the Success Stories Group in Santa Ana, California. Plese feel free to contact Colter Brinkley if you have any questions! Winning is the only possibility with the Success Stories Group! All the information you need for reaching the Success Stories Group is here! School: The most advanced training in the industry. 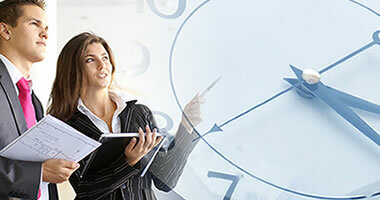 Reality based training that eliminates the traditional sales process! System: Step-by-step with multiple layers of support. You are never alone and everything you need to succeed is all in one place! Self: The final frontier for self-improvement. This business is 100% personal development! Master the mind and master success! You will be a success story with the Success Stories Group. The success formula is simple: Success Story = School + System + Self! founded by Colter C. Brinkley, M.S. If you are a new Consultant and want to join the Success Stories Group, click here! Do you have questions? Need help? Click here to reach the Success Stories Group! 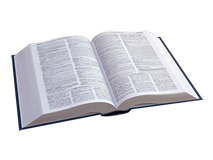 The #3 root cause of business opportunity failure is inadequate training. The Success Stories Group Business School provides reality-based training that eliminates the direct selling process. This unique training is free, accomodates the 4 personality types, is endless and exclusive to the Success Stories Group! The #2 root cause of business opportunity failure is not having a proven step-by-step business building system. Like the Franchise business opportunity model, the F.L.O.W. business building system provides a simple proven step-by-step system for true business opportunity success! The #1 root cause of business opportunity failure is issues of self. The Imutare personal development program is the only self-help application specifically designed to help anyone from any walk of life succeed in Network Marketing. This is also exclusive to the Success Stories Group! 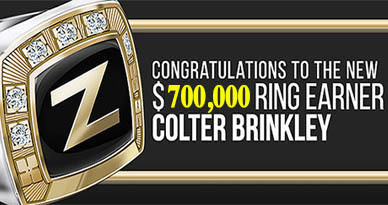 Colter Brinkley is the first person to earn the Zurvita $700,000 a-year ring and just 2-months after becoming a Zurvita Crown Ambassador and Zurvita MVP (Most Valuable Player). Add to this that his team, The Success Stories Group, is the most consistent ranked advanced group within the Zurvita Business Opportunity! The success evidence is everywhere! 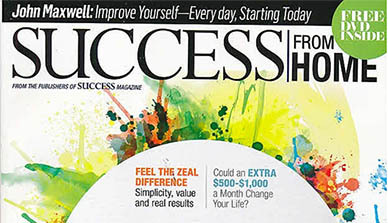 Zurvita and many members of the Success Stories Group are featured for the 2nd time in the new issue of "Success From Home" magazine. Over 50% of the magazine is about the Success of Zurvita and the amazing Zeal for Life product. Read it now! Everyone wants to be at the right place at the right time. 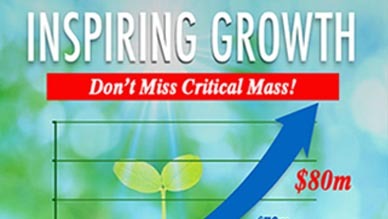 Zurvita is at true Critical Mass and trending. Get all the facts about the Zurvita business opportuinity and join the fastest growing group, the Success Stories Group! 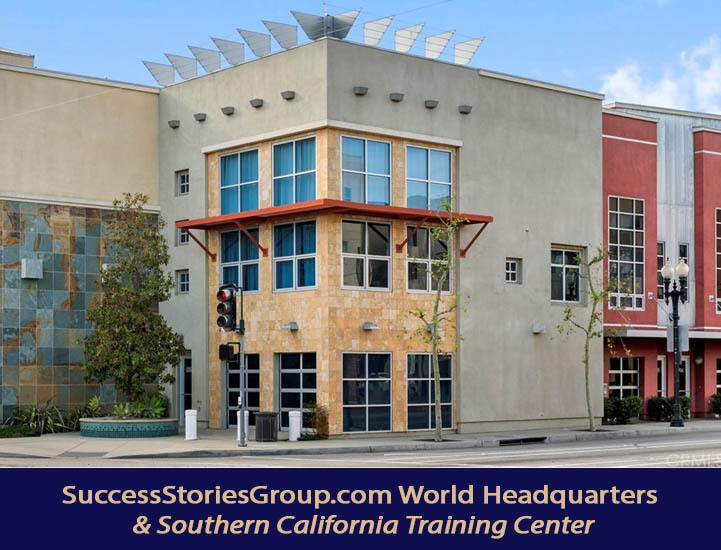 Note: The Success Stories Group Training and Meeting Center is located across the street from the Santa Ana Train Station. Parking is free at the Santa Ana Train Station. Please feel free to call Colter Brinkley if you have any questions about the Success Stories Group or Zurvita. If he is not on the phone or in a meeting, he will personally answer. If busy, please leave a message and he will call you back just as soon as he can. (C) Copyright 2013 - 2019. Success Stories Group, Inc. All Rights Reserved.